Hello! My name is Ashten. I'll tell you a little about myself first.. I am married to my high school sweetheart, Brian. He is the love of my life and more than I could ever ask for in a husband. We have a wonderful daughter together, Aurora Rayne. We also have an American Pit Bull Terrier, Khaos, who is a big part of our family as are our rats. I grew up with animals for as long as I can remember. At the age of 8-10 years old my parents got my very first pair of female rats, Bubbles and Sprite. Bubbles was a Champagne colored rat and Sprite was a Pink Eyed White (PEW). I thought I was very clever with their names and still remember them to this day. Bubbles and Sprite got me into rats. I totally fell in love with their individual personalities and how smart they were. From then on I have pretty much always owned rats. I bred my first litter in 2009 after much research and to this day continue to breed these wonderful critters. It's a passion of mine and our rats are pets first and foremost. Sweet Whispers Rattery is registered with the NARR (North American Rat Registry) under the prefix STWR. The majority of our rats are registered with NARR. We are located in Pottsville, Pennsylvania 17901 which is in the Northeastern region of the state. Here at Sweet Whispers Rattery we are a closed rattery, due to viruses that can be brought in. They easily spread and quickly destroy a rat colony. This is done for the safety of our rats. Though we are more than willing to send you as many pictures as you'd like from time of birth till the time you pick up your babies. All of our rats come from a nice home environment and are very social. 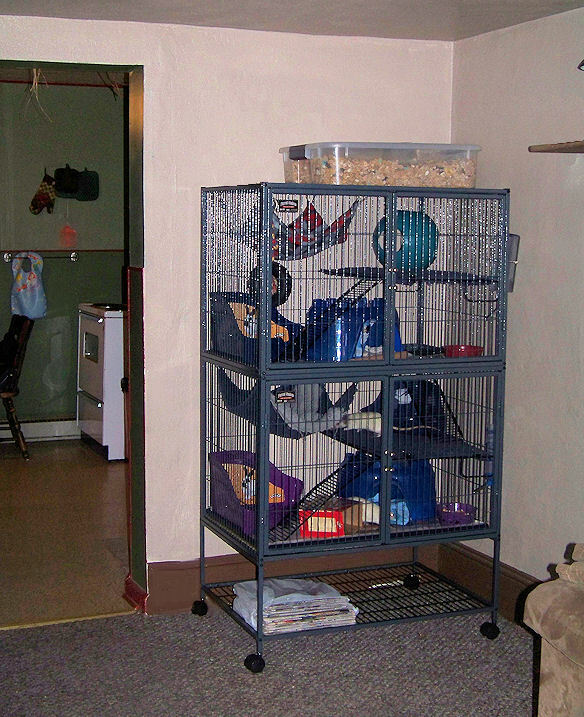 Their cages are right in our dining/living rooms where they get exposure to different sounds, people, etc. Maternity in our bedroom where it's nice and quiet for our new moms/pups. Our litters are very well socialized before going to their new homes. Temperament is very important to us. No rat(s) with poor temperament will be used in our breeding program. The majority of our stock comes from Blue Skies Rattery, Big Apple Rattery, TOPI Rats, and Rats From Mars Rattery. All of which I would like to give a big thanks to for helping us as much as they have along the way and their continued support. Due to recessive genes, we are able to offer adopters a wide variety that we may not necessarily focus on. Types include both ear types, dumbo and standard. The coat types we have available are Standard, Rex, Double Rex, Velveteen, and Harley. We offer mainly standard sized rats, but will occasionally have dwarf available. Many of our rats also carry manx (tailless) genes, so we may occasionally have manx available. Our manx rats will only be available on a limited basis. The majority of them will stay at our rattery or go to approved homes only. Our main lines consist of Black-Eyed Siamese, Burmese, Roan, and also some Aurora based varieties. We also work with a small marked line which we will be working to incorporate downunder into. We have a small number of Pearl Merle as well. Again, due to recessives many of our newer lines carry, there will be other colors available such as: American Blue, Russian Blue, Beige, Blue Beige, Platinum, Mink, and Fawn to name a few. Our 4 current main cages are 2 Ferret Nation model 142 cages along with 2 Critter Nation model 162 cages. We also have the following Martin's cages: Rat Lodge (R-680), Rat Retreat (R-685), Rat Tower (R-690), and Rat Skyscraper (R-695). We also have a Marshall Penthouse and a large Flight Cage as extras. We have an array of other smaller cages around when needed. We are always prepared. Some of our other miscellaneous cages include the Super Pet Deluxe Care Home 4-Level, 4 1-level cages, 3 large travel bins and 3 maternity Cages. At the rattery our most recent photos were taken in a homemade white light box with a Canon EOS Rebel T1i 15.1 MP DSLR w/ EF-S 18-55mm f/3.5-5.6 IS Lens, and Natural Daylight CFL Bulbs for lighting. Here at our rattery we use a variety different bedding types which include Aspen, Carefresh, material and sometimes newspaper. They love a few pieces of newspaper to shred for makings their nests/sleeping areas nice n' comfy. We also always make sure our rats are at a proper weight. We weigh them regularly. Also we use our grams scale for pregnant does to track their progressing pregnancy making sure they are indeed pregnant and are gaining properly. 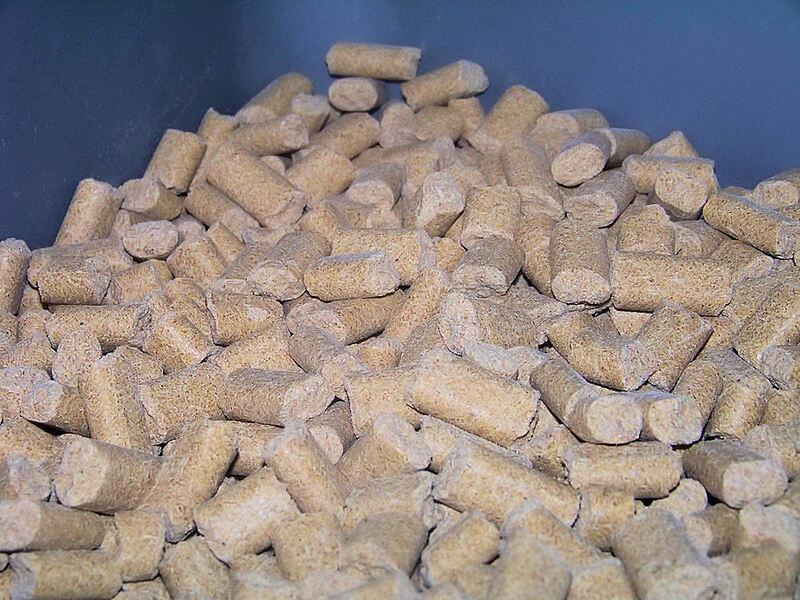 What we feed here at our rattery consists of a staple diet of Native Earth 4018 Rodent Diet and a homemade mix similar to Suebee's mix. They are stored in Sterilite bins for freshness. We also give them other goodies which include fresh fruits, vegetables, yogurt, occasional healthy table scraps and once a week olive oil soaked in a small piece of wheat or multigrain bread which helps their skin and coat. We also provide clean fresh water at all times. We change out the water bottles every 2-3 days.